This weekend was filled with fun Swamp Thing research. 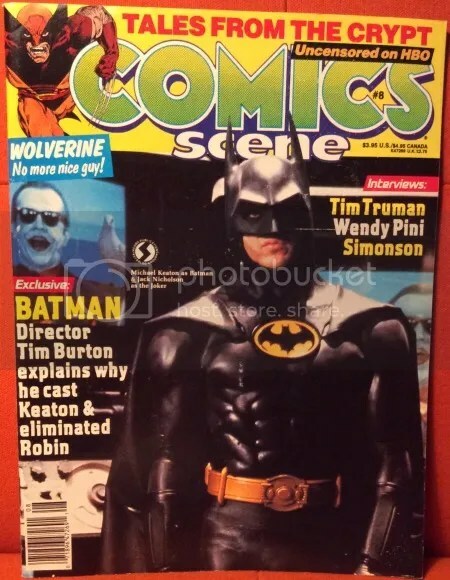 After spending a good bit of time at my local comic shop with comics guru John Nordstrom, I came away with a stack of magazines and some great books. 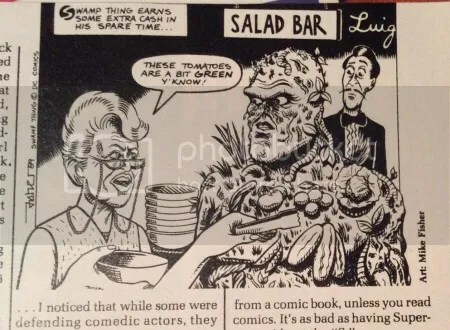 Comics Scene 8 features this goofy stip parodying Swampy as well as an ad and a mention in the movie/tv previews. 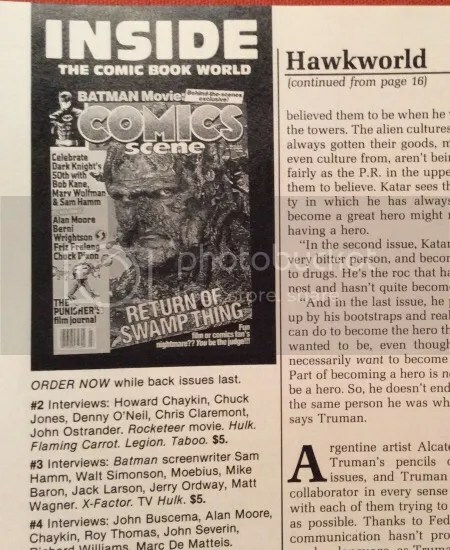 Comics Scene 6 and 7 feature articles relating to Return of the Swamp Thing feature film but until now, I wasn’t aware of the Swampy fun in issue 8. I’m sure glad I did some digging. Here are the other Swampy items from the book. 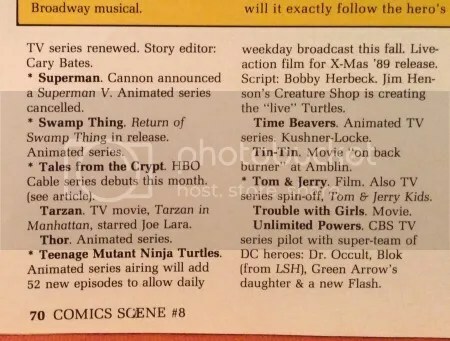 A Comics Scene ad for issue #7 featuring Swampy on the cover.